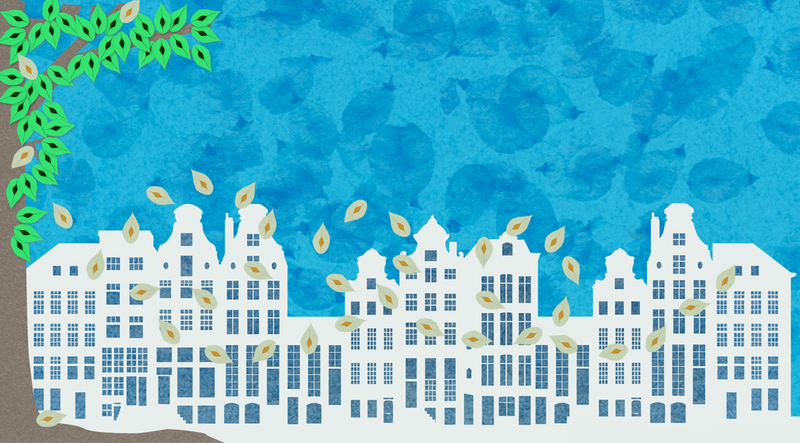 With Springsnow Amsterdam celebrates the magic of whirling elm seeds from 21 April to 21 May: the season in which the elms throw their seeds as natural confetti all over the city. Elms have defined Amsterdam’s cityscape for centuries. Nowhere in the world can they be found in such numbers. More than 75,000 elms cloak the canals in green, bring nature to the heart of the city and release an annual festive flurry of swirling elm seeds, known as ‘spring snow’. Everybody can take part: by catching some spring snow, following THE ELM ROUTE, or participate in one of our special activities. And now even the scent of the elm trees is captured in a perfume: Eau d’Amsterdam! You can find news and updates about our program on Facebook and Twitter. Stichting Springsnow in Amsterdam, info@springsnow.nl, 06-42633610 (Saskia Hoogendoorn).